I’m just back from a family trip to Costa Rica, and it was amazing. The vacation was my first trip to Central America, and now I understand why Costa Rica is so special. Each region offers something surprising to discover, and the Costa Rican people are warm and friendly and good at welcoming guests to the country. Just a three-hour flight from Miami, Costa Rica is close, tropical, and fun. We made three stops on our trip, but we only scratched the surface of this gorgeous, (mostly) green, biodiverse country. According to one or our guides, tourism makes up 70% of the Costa Rican economy, and there are almost endless choices for accommodations, food, transportation and tours in all price ranges. Regardless of budget, visitors will find something to suit their needs from no-frills hostels to 5-star luxury with waterfall showers and lava stone meals. Costa Rica has two international airports, San José and Liberia. The San José airport serves the central and eastern part of the country, while Libera serves the northwest and Guanacaste beaches. Flying into one airport and out of the other is a good option if you plan to see several areas of the country. The quality of Costa Rica’s road system is mixed. In some areas the roads are fine, but in other areas, you’ll find the driving tough with streets full of huge potholes and unclear rules of the road. If you’re planning to rent a car, remember the distance marked on maps is deceiving. Travel by car is time-consuming because of the mountains, traffic, and lack of street signs and traffic signals. If you drive, GPS is your friend and always plan extra time to make your destination. Another option is hiring a car and driver. Because many of our excursions included transportation, we decided to relax and let someone else drive. It was an excellent choice, and we got to see a lot of the country without worrying about getting lost or plunging off a narrow mountain road. If time is essential, Costa Rica has two domestic airlines, Nature Air and Sansa, that serve different areas of the country. Keep in mind smaller planes have weight restrictions, so be mindful if you carry a lot of luggage. A third option is public or private bus transportation. Costa Rica has a good and cheap public bus system that will get you where you need to go. For longer trips, consider one of the private bus companies. Many of those buses have air conditioning, a plus when hot and humid Guanacaste is on the agenda. For a small country, the weather in Costa Rica is diverse, and multiple destinations require different clothing and preparation. Bring sunscreen! Costa Rica is close to the equator and beach areas are very hot and humid. Mountain areas rise 3,000 – 5,000 above sea level, so temperatures are cooler, especially at night. Plan for chilly temperatures and some rain. The popular tourist areas of Arenal and Monte Verde are in the highlands, so there’s a good chance you’ll visit this favorite destination. Temperatures are moderate, 60F-80F with a chance of rain. A very, very good chance of rain. Raincoats and waterproof hiking boots are a must. Temperatures are warm with plentiful rain (of course) prepare for wet days with extra footwear and quick-drying clothes. Avoid cotton. The currency in Costa Rica is the Colón, but many locations take U.S. dollars. Hotels and restaurants in tourist areas allow payment in USD, but make sure the exchange rate is right, and you’re not spending more than necessary. Keep some Colón handy for more rural/less touristy spots that don’t accept credit cards or USD. 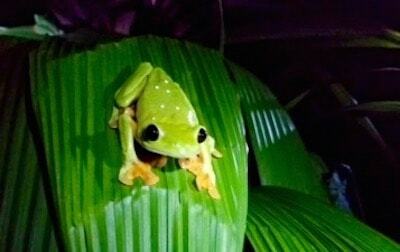 Costa Rica is a paradise for nature lovers and adventure seekers. There are thousands of tour operators who offer every type of activity/excursion at every price range. Do your homework especially when safety is a concern (i.e., whitewater rafter, zip lining, etc.). Find and hire a good travel consultant to help ensure tours are of high quality and safe. If you have the time and energy, Costa Rica offers an endless array of activities, including whitewater rafter, zip lining, volcano hikes, mountain biking, kayaking, snorkeling, surfing, and tubing. For visitors looking something a bit tamer, Costa Rica is known for bird-watching, walks through the rain and cloud forests, relaxing at the beach, fishing, and golf. Mosquitos in Costa Rica may carry the Zika virus and Dengue Fever. Chances of contracting both are low, but it pays to be prepared. Use repellent in areas with mosquitos. Fun fact, mosquitos that carry Dengue Fever come out during the DAY so plan accordingly. Water in Costa Rica is safe to drink. No additional immunizations are needed for Costa Rica. However, getting hepatitis shots for any overseas travel is a good idea. The rooms at the Peace Lodge were all rich wood and river stone, with a large, gorgeous gas fireplace to help warm the cold mountain air. With large balconies perfect for sipping coffee while watching the sun come up over the misty mountains, this place was built for honeymooners. The Tabacon Resort is famous for its spa area where visitors enjoy the “therapeutic” hot springs created by the nearby volcano. The Tabacon provides access to the river from the comfort of groomed or paved paths with hooks for towels and frosty drinks nearby. Another way to enjoy this natural phenomenon for free is to simply cross the street and climb in the river. Either way, the hot springs are an amazing natural phenomenon and worth a trip. We stayed at JW Marriott during our visit to Guanacaste. The ocean views were beautiful, but the ocean itself was unswimmable because of strong currents and riptides. Luckily, we found comfort and satisfaction by the pool. Costa Rica has been on my list of dream destinations for years. It’s a great spot for families, young people, and seniors alike.